Wuthering Heights is Emily Brontë’s only novel. The story is told in layers, a format that has earned the novel much praise despite initial mixed reviews. It is the story of Catherine and Heathcliff and how their unresolved passion eventually destroys them both. Source: Brontë, E. (1847). Wuthering Heights. London: TC Newby. Mr. Lockwood writes in his diary about his visit with Mr. Heathcliff at Wuthering Heights, where he is to become Mr. Heathcliff's new tenant. Mr. Lockwood finds many things strange about his visit with Mr. Heathcliff. When Mr. Lockwood returns for a second visit to Wuthering Heights, he gets stranded there due to a snowstorm. As he tries to leave the property without a guide he borrows Joseph's lantern, and is then stopped and pinned down by Mr. Heathcliff's dogs, forcing him to stay the night. Zillah leads Mr. Lockwood to a room where Mr. Heathcliff allows no one to stay. Mr. Lockwood has two nightmares while sleeping in this room; he awakens Mr. Heathcliff when he screams during his nightmare. After returning from Wuthering Heights, Mr. Lockwood asks Nelly to tell him all about Mr. Heathcliff and his daughter-in-law. Mr. Earnshaw falls ill, and then he sends Hindley Earnshaw off to school when he can no longer put up with Hindley's complaints about Heathcliff. Catherine's fondness for Heathcliff is revealed. Hindley returns for his father's funeral and brings home his wife, Frances, who both disregard Catherine and Heathcliff, until they disappear one day. Upon their return, Hindley threatens Heathcliff with banishment if he ever speaks to Catherine again. Catherine returns to Wuthering Heights after a five week transformation from wild girl to young lady, all Mrs. Linton's work. Upon her return, Heathcliff is upset at her changes in appearance and attitude. The Linton's are invited to dinner by Hindley, and Heathcliff is forbidden to join them. Frances gives birth to Hareton, and then dies a week later. Hindley is extremely upset over the death of his wife and drives all of the servants away, except for Nelly and Joseph. Catherine shows her wild side to Edgar Linton. In a fit of rage Hindley throws Hareton over the balcony, fortunately Heathcliff is there to catch him. Catherine agrees to marry Edgar and tells Nelly, Heathcliff overhears their conversation and leaves Wuthering Heights for three years. Upset when Heathcliff leaves Catherine waits out in the rain for him, catches a fever, and almost dies; during her recovery Mr. and Mrs. Linton catch her fever and they both die. Catherine and Edgar marry three years after their death, and Nelly moves to Thrushcross Grange with them. Heathcliff returns to Thrushcross Grange a few months after Catherine and Edgar were married. While Heathcliff stays at Wuthering Heights, Catherine and Isabella visit him; Isabella falls for Heathcliff in the process. Nelly sees Heathcliff embracing Isabella, which leads to a fight between Edgar and Heathcliff. Catherine, upset at the dispute between them and refuses to eat for two days. Catherine, delirious from not eating for three days, talks about her childhood with Heathcliff. When Edgar sees the terrible shape Catherine is in, he scolds Nelly for not calling him sooner; when the doctor arrives he predicts that Catherine will not survive her illness. While this is going on, Isabella runs away with Heathcliff. While Edgar nurses Catherine back to health, he discovers that Catherine is pregnant; he wishes for a male heir to prevent Heathcliff and Isabella from inheriting the Grange. 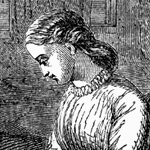 Isabella sends Edgar a letter announcing her marriage to Heathcliff. When Nelly delivers the letter to Catherine, she is too ill to even hold it. Heathcliff comes out of hiding in the Grange and speaks to Catherine about their love. When Edgar comes home, he finds them together. After Catherine's daughter Cathy is born, Catherine dies two hours later. Edgar and Heathcliff take turns watching over Catherine's body, and then she is buried in the churchyard, feet from the moors. Hindley gets drunk at Catherine's funeral and tells Isabella that he is going to kill Heathcliff. When Isabella tells Heathcliff this information he breaks into the house and beats Hindley. Hindley dies six months later leaving deep debt, and the mortgage in Heathcliff's possession. Isabella leaves for London, and has a son Linton. Nelly returns to Wuthering Heights to sort out funeral arrangements and to check on Hareton; Heathcliff refuses to allow Hareton near Nelly. Isabella writes to Edgar to tell him of her impending death, and asks him to come and get Linton to take him back to the Grange. Nelly watches over Cathy while he is gone, and Cathy finds her way to Wuthering Heights while playing one day. Nelly and Cathy decide to keep her visit to Wuthering Heights from Edgar. Edgar hopes that Heathcliff will allow Linton to live at the Grange. Joseph visits the Grange to pick up Linton to bring him back to Wuthering Heights; Edgar does not want to wake him and promises to deliver Linton to Heathcliff in the morning. Nelly convinces Linton that staying at Wuthering Heights will be fine. When he arrives Heathcliff admits that he does not love his son, he also admits that he only wishes to gain access to the Grange through Linton. Three years later Nelly and Cathy visit Wuthering Heights, Heathcliff wishes Linton and Cathy to fall in love and marry. After Edgar finds out about their visit he forbids Cathy have any contact with Linton, which drives her to begin writing secret letters to him. Nelly finds Linton's letters to Cathy, destroys them, and does not tell Edgar. Cathy nurses her father during the winter, she believes he is dying. Then, Cathy speaks to Heathcliff, who tells her Linton is sick because she cut off communication with him. The next day Nelly and Cathy leave to visit Wuthering Heights. After visiting Wuthering Heights, Nelly gets sick. When they return Cathy nurses both Nelly and Edgar during the days, and she spends her nights visiting Linton. While visiting Linton, Cathy and Hareton have a fight. Cathy visits three days later, but Linton blames her for previous trouble; she vows not to visit him again, and then he apologizes for his behavior. When Cathy tells all of this to Nelly, Nelly tells Edgar and he forbids Cathy to visit Linton, but says he will allow Linton to visit the Grange. As Linton becomes more ill, Edgar admits that he wishes Cathy to be happy, even if it means marrying Linton. When Linton never visits the Grange, Edgar allows Cathy to visit him at the moors. While Cathy visits Linton, he insists that he is getting stronger, even though throughout the visit he is squeamish and looking back at the house constantly. Cathy and Nelly discuss his health on the way home. As Edgar's health fades, Heathcliff worries that Linton will die before Edgar. He imprisons Cathy and Nelly after he convinces them to visit, and will not release Cathy until she marries Linton. Nelly is kept prisoner for five days. Nelly returns to the Grange after she is freed by Zillah to assure Edgar that Cathy is safe. She sends servants to bring Cathy back to the Grange, they come back empty handed. Cathy finally escapes with the help of Linton, and is reunited with Edgar right before he dies. Heathcliff forces Cathy to live and work at Wuthering Heights, and not to stay at the Grange; Cathy speaks out against Heathcliff. After Heathcliff confides in Nelly that he believes in ghosts, particularly the ghost of Catherine, he tells Nelly never to visit Wuthering Heights again. Nelly's narrative ends; Zillah is now who tells Nelly about Cathy. Before Linton dies Cathy takes care of herself; after Linton dies, Cathy will not let Zillah or Hareton be nice to her. Lockwood makes a trip to Wuthering Heights, bringing a note to Cathy, from Nelly. Heathcliff is having a hard time dealing with Hareton's increasing favor for Cathy, and Hareton's resemblance to his Aunt Catherine. Lockwood leaves and comes back six months later to find Nelly living at Wuthering Heights, as Cathy's companion because Zillah left. After Hareton accidentally shoots himself, Cathy gives Nelly a book to give to him; if he accepts it Cathy vows to teach him to read and never tease him again. Hareton takes Cathy's side in an argument, when Heathcliff is about to strike her. Heathcliff admits to Nelly that he is being tormented by the thoughts and reminders of Catherine. Heathcliff leaves one night and is out all night; when he returns he refuses all food, he also refuses a doctor. The next night Nelly finds his dead body; Hareton is the only one to mourn his death. Brontë, Emily. Wuthering Heights. Lit2Go Edition. 1847. Web. <https://etc.usf.edu/lit2go/159/wuthering-heights/>. April 21, 2019. Emily Brontë, Wuthering Heights, Li2Go edition, (1847), accessed April 21, 2019, https://etc.usf.edu/lit2go/159/wuthering-heights/.